I've been fiddlin' with some photos this week. Ended up posting a new header for the page last night. Then I noticed the date of my last post (September!) and thought "Alrighty then! I guess it's time for a new post too." I enjoy the technical details of restoration projects, but anyone familiar with this one knows I'm more of a story guy. At shows or cruise nights I always spend more time walking around, chatting people up and learning about their rides than hanging around my own. So many cool stories out there. Love to hear them. 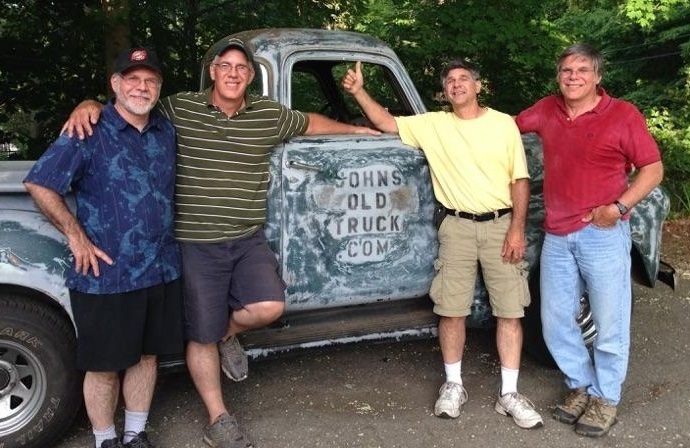 Left to right: Brothers Dan, yours truly, Chris and Pete on May 30, 2015, when I finally drove the truck for the first time. Pete bought the truck in Missouri and drove it home to Connecticut in 1981.. So what's your story? Truck, car, old school bus, whatever. Why does your ride mean so much to you? I'd love to read all about it and share some stories in a future post. Comment here, shoot me a quick email or send a message through the John's Old Truck Facebook page, and feel free to attach a photo. And by all means, if you've got a website or blog that deals with your classic ride I'd love to share those as well. Looking forward to checking out some projects and hearing the stories. As always, thanks for stopping by. See y'all down the road! The first phase of a lifelong dream became real on May 30, 2015, when I finally drove this truck for the first time. A single day that made it a great year. The next phase? Getting this dream ride in good enough shape for the epic cross country/Route 66 road trip I've been dreaming about since my teen years. Of course, this goal presents a financial challenge that I could never meet on my own. I would be eternally grateful if you would like to help the cause. 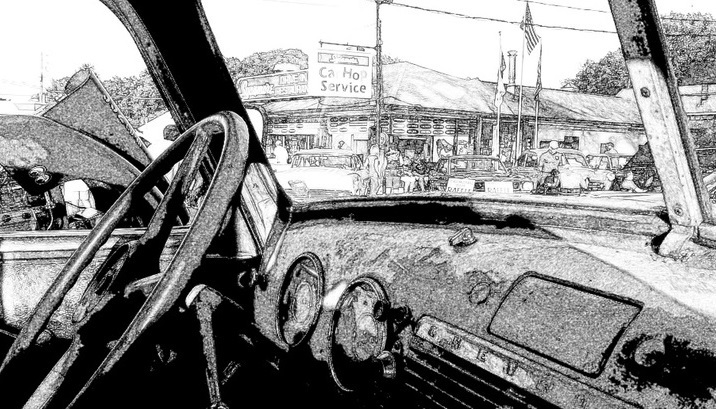 The full short story - "John's Old Truck - Living the Dream and Honoring Mom" is available online for $2.99, at Amazon, Barnes & Noble and Smashwords. 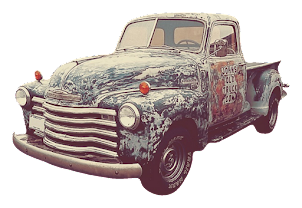 Please also visit the Tee Public store, where you'll find various images of the truck on shirts in multiple styles and colors, as well as mugs and other items. John's Old Truck YouTube Channel, and check out all the photos documenting the project at John's Old Truck on Imgur. And if you have any questions or just want to pop in and say hi, please feel free to contact me directly via email anytime. Thanks for stopping by!